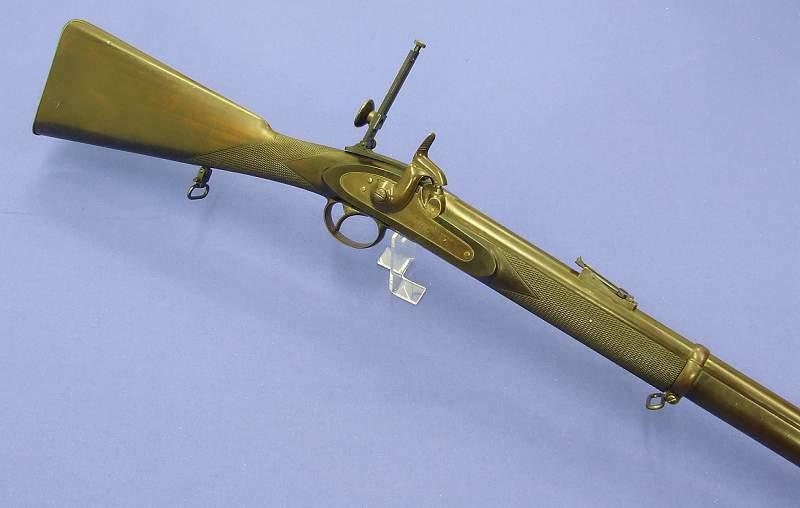 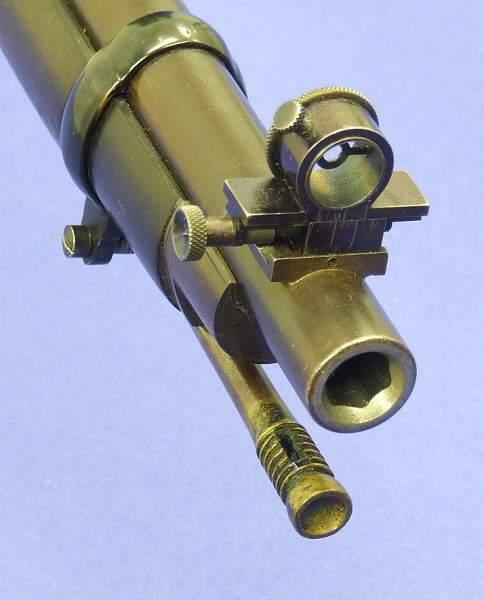 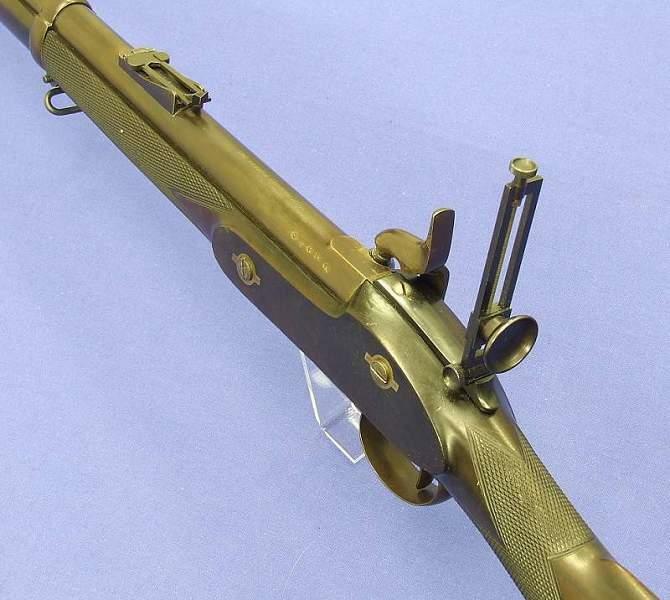 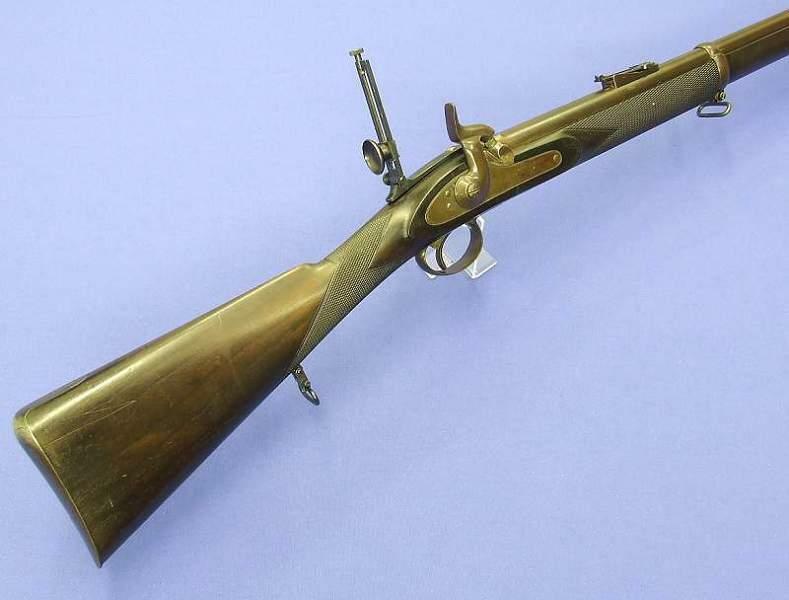 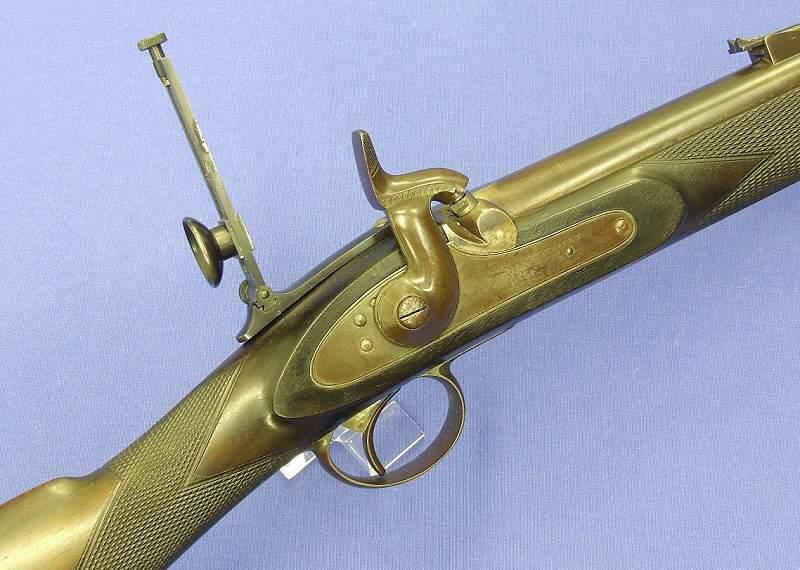 English sniper percussion rifle, on the barrel Withworth Patent 101, lock signed B. Beasley, circa 1864. 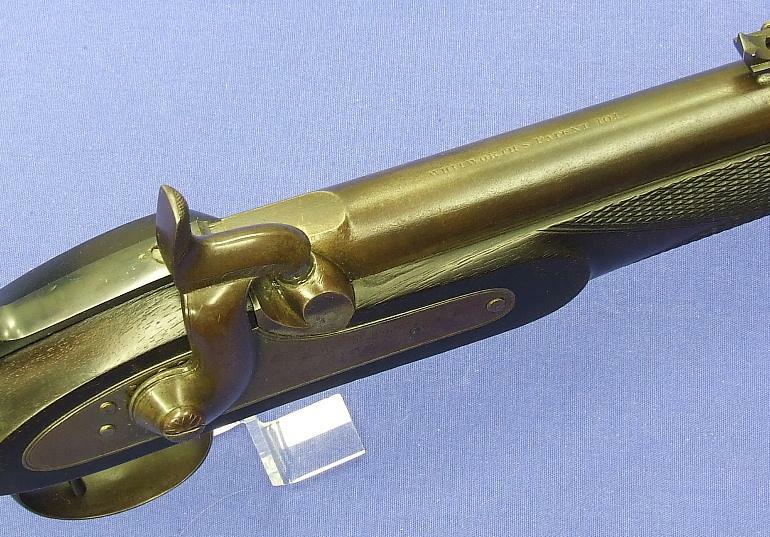 The lock is inside signed by J.Brazier. 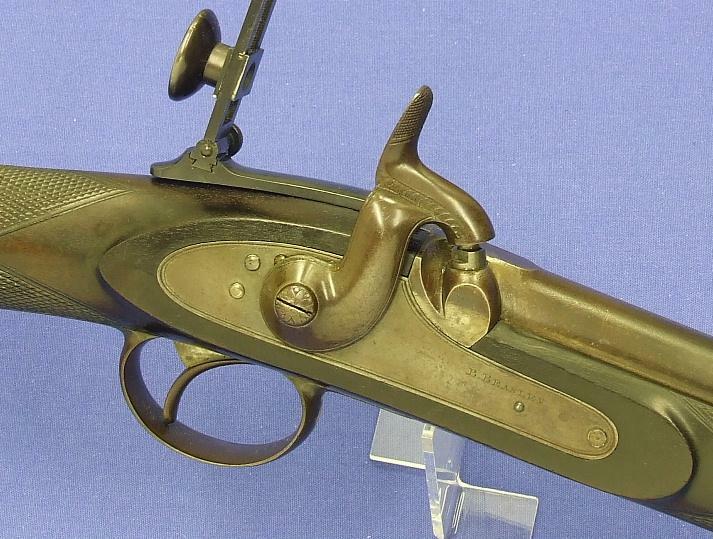 Rifle with this Patent 101 from Withworth is made for hexagonal bullets.